IATSE TTF Safety First! Online Courses are now live! View all sixteen of the IATSE TTF Safety First! Online Courses live! The curriculum is relevant to all crafts and is optimized for use on a computer, laptop, or tablet. 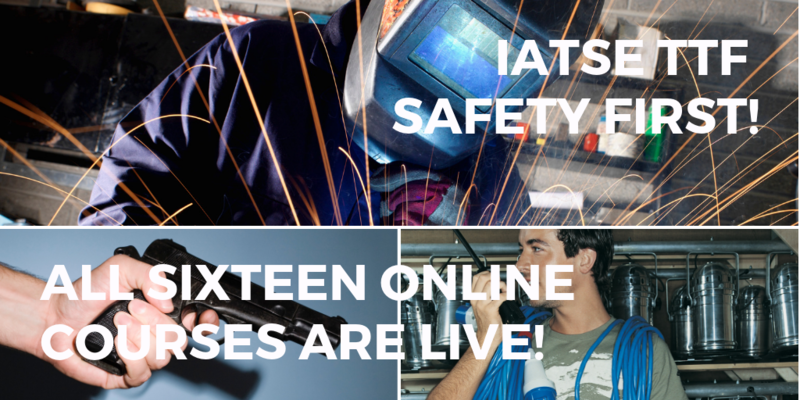 Download the application and email it to onlinecourses@iatsetrainingtrust.org to create your account. If you already have an account, login to take the courses at any time.